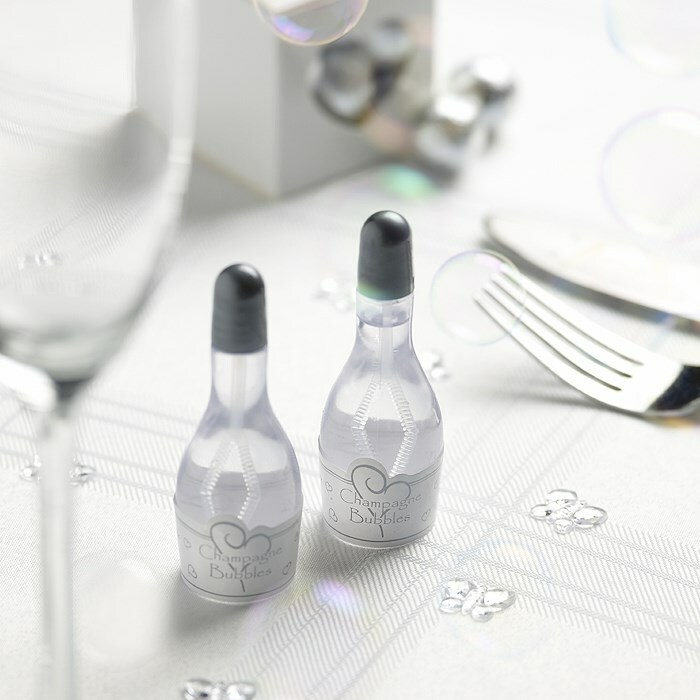 These elegant bubble pots make an imaginative addition to your wedding tables. Modelled on a bottle design, pots are topped with a silver ‘cork’ and feature an elegant label with a central heart motif. A great way to provide some interactive fun on your wedding day.